Ethiopian Airlines’ A350 XWB, will be launched on the London Heathrow route on August 14, 2016. The aircraft has been named “Simien Mountains”. The Business class cabin, ‘Cloud 9’, will be fitted with 30 BCE diamond seats which convert to a 78” fully-flat bed in a 2x2x2 configuration. 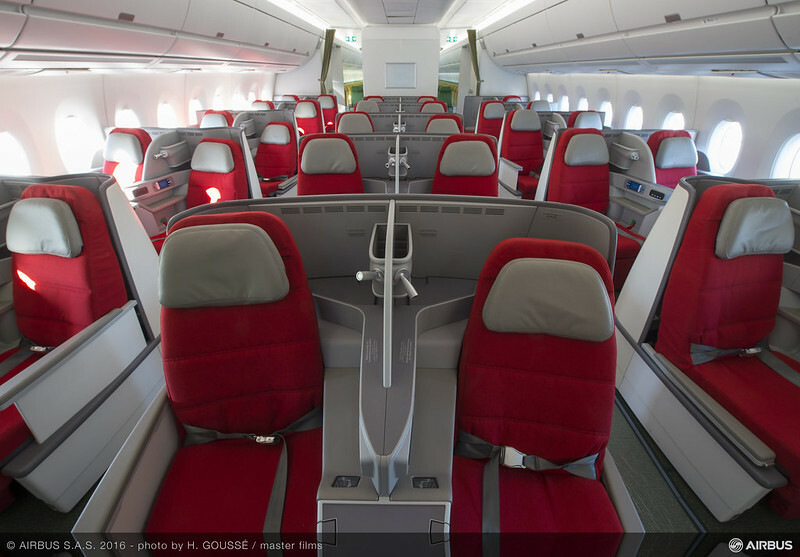 Economy will have 313 seats in a 3X3X3 configuration offering 32” of seat pitch to passengers. Ethiopian has ordered 14 Airbus A350 aircraft in total. Michael Yared, Ethiopian Airlines Country Manager UK, said: “We are proud to be the only airline in Africa operating the ultra-modern Airbus A350. Equally myself and the team in UK are excited to have the brand new A350 aircraft on the route to meet the increased demand and look forward to showcasing the product to our valued customers, industry colleagues and partners’’. Ethiopian has a modern fleet including the B787, B777-300ER, B777-200LR, B777-200 Freighter, Bombardier Q-400 double cabin with an average fleet age of five years. It flies to 92 international destinations across five continents.